1 Combine Hellmann's® or Best Foods® Real Mayonnaise with cheese in small bowl. 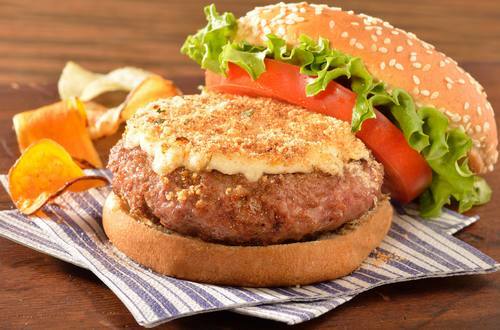 Evenly spread mayonnaise mixture over hot burgers, then sprinkle with bread crumbs. 2 Broil until golden brown. Serve on hamburgers buns with your favorite burger toppings. Substitution: Beef burgers work great too!